Team Suzuki Press Office – August 24. 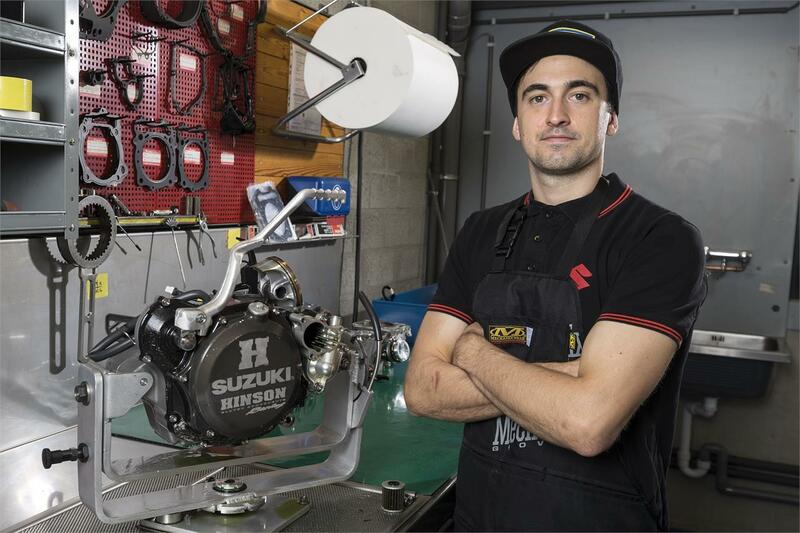 Matt Winterborne is the Suzuki World MXGP team’s engines and mapping mechanic. Matt Winterborne has been around motocross ever since he was a teenager. At that age, he rode on an amateur level back in the UK. And that’s how his passion for MX came about. At local races, he would always work on other people’s bikes. When a couple of his friends started riding in the British Championship he saw his chance to work for them as a mechanic. At around 17 years of age he finally got to take it full on. “Lucky enough I got the opportunity to work with Dave Morgan later on, who had a lot of GP experience. While I was in college for my motor mechanic course he was a true mentor for me. I learned a lot from him in the few years that we worked together.” Working for team green, Matt gained his first experience in GP racing. Favourite food: Pizza, but I can’t have any right now because I’m on a diet! Favourite music: I listen to all kinds of music, but most of the time it’s hip hop. When I’m in an extremely good mood I don’t mind listening to some classical music. Favourite movie: I like the Ace Ventura films with Jim Carrey. Favourite thing about working for Suzuki: People here are very clean and tidy, and just generally well organised. Hobby: I try to keep myself fit with fitness and boxing. Boxing has always been quite close to me. I follow it attentively in England.